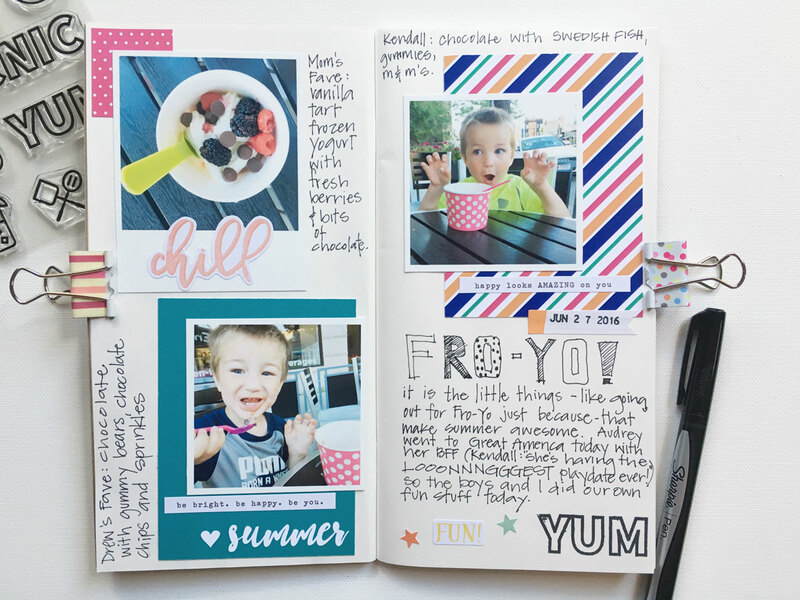 I made my first #LittleSummerJoy entry in my midori notebook! 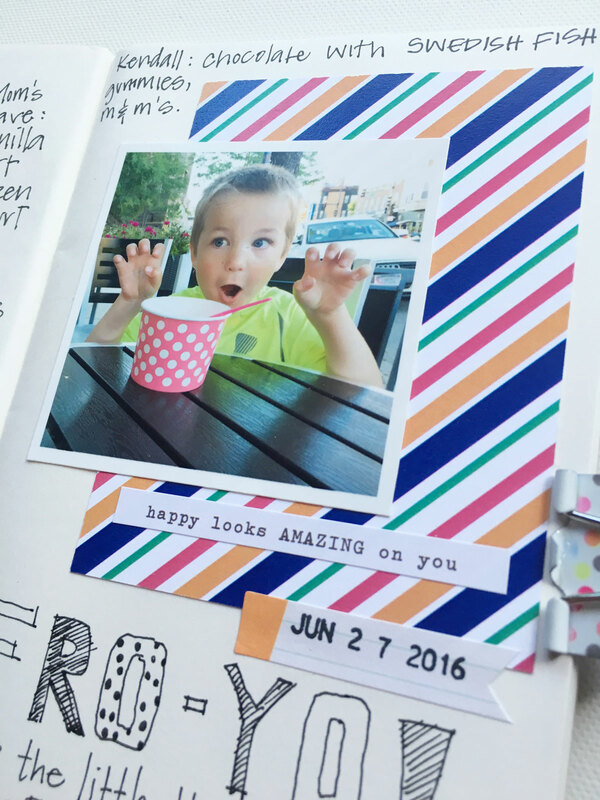 Are you following along with Little Paper Projects? They have a freebie class and a paid class version. I'm doing the freebie version. Go here to see the prompt which my post today followed. 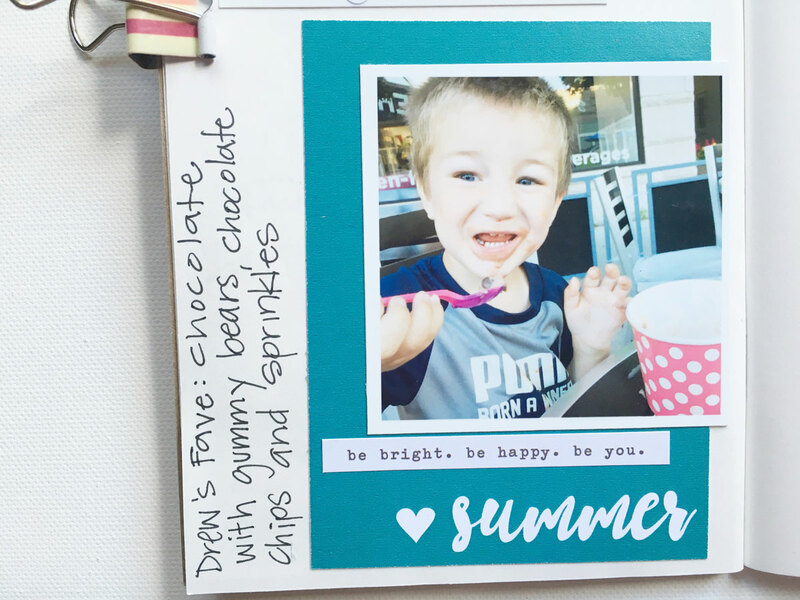 I am using my June Take 10 Kit in this layout. I love the fun summer colors. And the Simple Stories sticker sets that came in the glam bag are perfection for this project. The boys and I went to our local "Fro-Yo" for some "Get your Own" frozen yogurt and a buffet of toppings to chose from. They absolutely love this place. That day was a special day for my daughter, who was with her BFF at a theme park. So, we had to make our own special back home. This time around, I printed my photos at home. I used PicStitch to make some white border 3x3's (2 on a 4x6). When I trimmed the overhead shot of my bowl, I made it look like a polaroid, so I could add a sticker to the bottom. I backed this guy's messy smile on one of the PL cards from my kit and added a phrase sticker (Simple Stories, part of my kit). 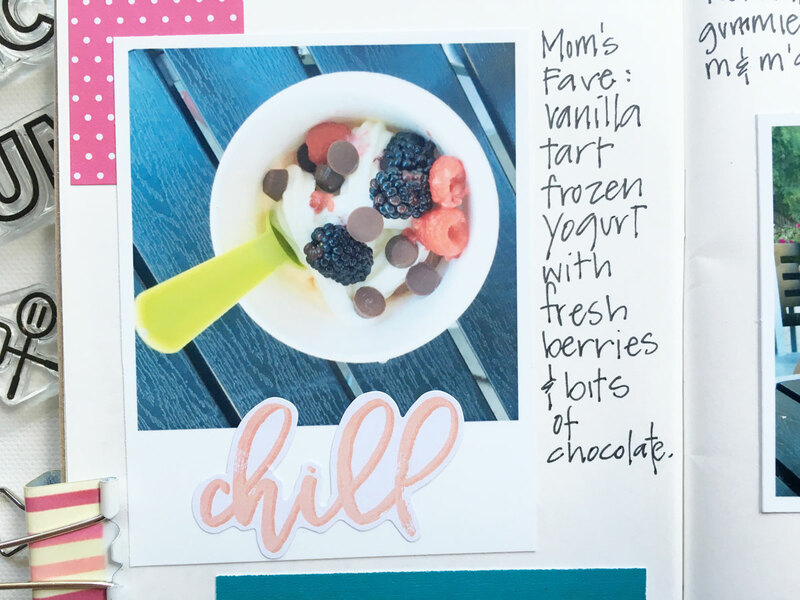 You might notice, by each photo I listed that person's current favorite selection with toppings. And there is K's favorite and the perfect goofy, fun photo that totally captures how we were all feeling on this mini-excursion. I grabbed my Becky Higgins roller date stamp and put the date on a Simple Stories label sticker. 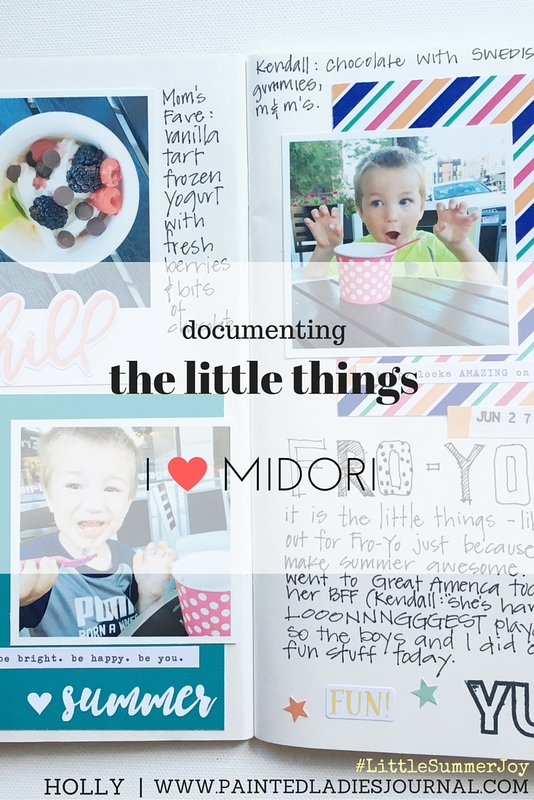 And since Midori Traveler's Notebooks are great for lots of journaling, I added some more about this little moment with my boys. Now, I will always remember K's comments by mid-day on how his sister was on the "longest playdate ever". "YUM" stamp from June Take 10 Glam Bag. Enjoy your summer and those little things that make it great.